There are studies from 11 cities working to make their environments better places in which to grow older. These have been included in a major new report from the World Health Organization (WHO). The report looks back over a decade of action on age-friendly cities and communities. It also examines what the priorities should be over the next ten years. 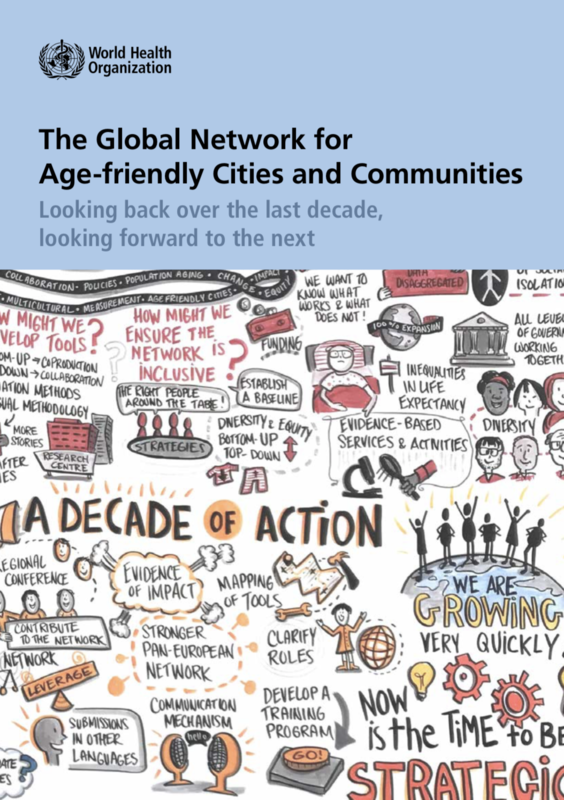 The WHO Global Network for Age-friendly Cities and Communities was established in 2010 to connect cities, communities and organisations around the world. The common vision is to make their communities a great place to grow old in. The case studies, feature cities and communities within the Network sharing their local experience in developing age-friendly environments. This is done through political engagement, understanding the situation, developing a strategy and action plan, and evaluating outcomes. They describe their local context, their challenges and successes, and achievements to date. The cities include Manchester, Brussels, Hong Kong, Portland (USA) and Ottawa (Canada). Manchester’s case study assesses the success of the city’s Age-Friendly Manchester programme, and the initiatives it has worked on including the Culture Programme. The Culture Programme brought together museums, orchestras, theatres and arts organisations with the aim of increasing access for older people. Additionally, the Take a Seat campaign aimed to raise awareness about how older people may struggle with a lack of available seating in shops and other public spaces. “This is a really important programme – for ageing cities to understand what is possible, and what can be achieved in improving the wellbeing of older people in an urban environment,” said Professor Debora Price, Director of the Manchester Institute for Collaborative Research on Ageing.